THE UNITED STATES IS THE ONLY DEVELOPED NATION WITHOUT PAID FAMILY LEAVE. ​HOW MANY PAID WEEKS DID YOU RECEIVE? Why is the United States the only developed nation without guaranteed paid family leave? U.S. law provides meager supports to enable workers to fulfill their work and family obligations, leaving matters large up to an employers' generosity. Just 11 percent of civilian workers have had access to paid family leave which means 67 million Americans receive no such benefits. It is not uncommon for women to return to week within days of delivering a baby in order to keep their job. If women are afforded maternity leave, it is usually not paid. Given that women are the breadwinners in 19 million American families, going without pay for weeks sends many families into financial turmoil, driving up credit cards and decimating their savings. Short and unpaid leaves also results in physical and emotional difficulties for parents, early cessation of vital nursing and bonding periods, extreme financial hardship, and even demotion or termination of their livelihood. With regard to eldercare, 49 percent of employees expect to have responsibilities in the next five years. As the population ages, the eldercare challenges are expected to grow and many of those caregivers -- men and women -- will be in the workforce. Paid family leave as public policy acknowledges the reality of care giving by creating a uniform, clear response. ​Support for our families is not just good for families but it's good business -- employer benefits include reduced turnover, expense reduction, and increased productivity and loyalty. Losing an employee over family leave concerns is expensive for companies. Experts estimate it can cost anywhere from 50 percent of the wages of a low skilled employee to 200 percent of the salary of a professional staff person. Two states -- California and New Jersey -- have functioning paid family leave programs. Female workers in family-friendly states are far less likely to use food stamps or other forms of public assistance after childbirth. In states with no paid maternity leave, nearly a quarter of new moms received an average of $749 in public aid in the year after giving birth. Only 10 percent of new moms in states with paid leave received assistance, and the average amount was $358. Every political cycle has politicians and voters rallying behind the importance of families. Over 86 percent of Americans support the idea of paid family leave yet our policies are forcing people to choose between their families and their financial stability. In a survey of 186 countries who offer guarantee paid leave for workers, America stands out as not valuing families. It's time to put our money where our mouth is and join the rest of the world in embracing the reality that workers have families. We can change America's paid leave policy. Do you want to be part of history? To learn more about award-winning film director Ky Dickens' kickstarter, watch here. 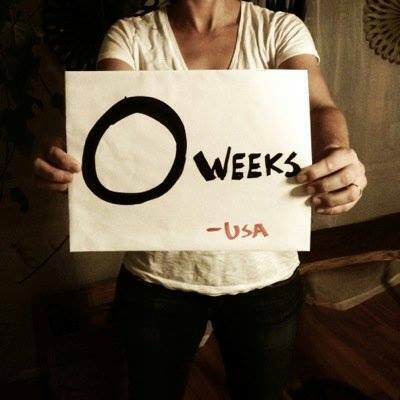 No mother should have to leave their baby within weeks of giving birth. To learn more about WHY Paid Family Leave in the United States MATTERS, click here.